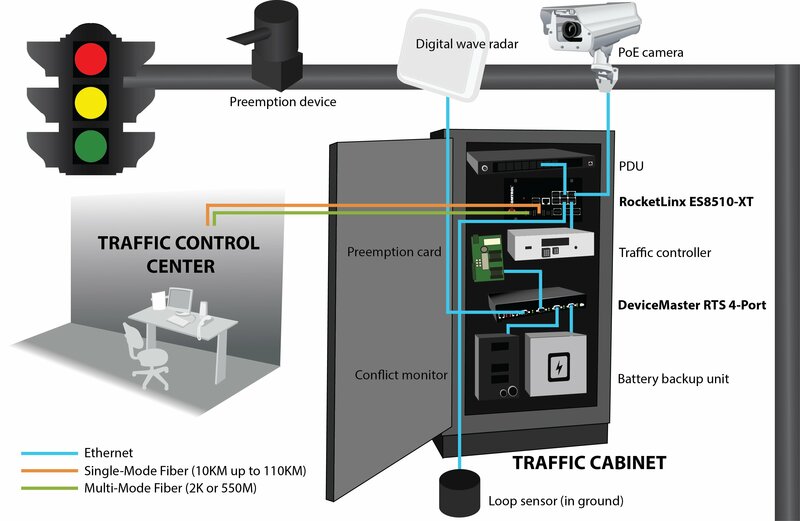 During this expansion project, the Nevada DOT chose Comtrol’s RocketLinx® ES8510-XT switch to enable data transmission from their traffic cameras to server room monitoring stations, eventually showing up on live feeds at the DOT monitoring station. One of the monitoring systems involved installing two traffic cameras to monitor the traffic flow going both east and west through the Carlin Tunnel, just West of Elko, NV. 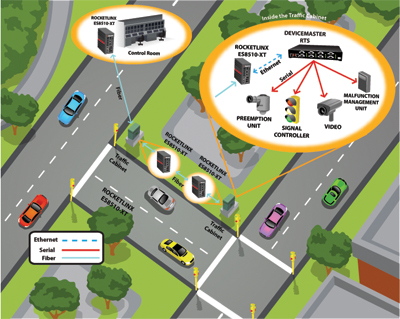 Both cameras are connected to one RocketLinx ES8510-XT industrial Ethernet switch, which directs information wirelessly through a point-to-point wireless link to another RocketLinx ES8510-XT switch installed on a nearby mountain. The data is then routed down to Elko’s server room. 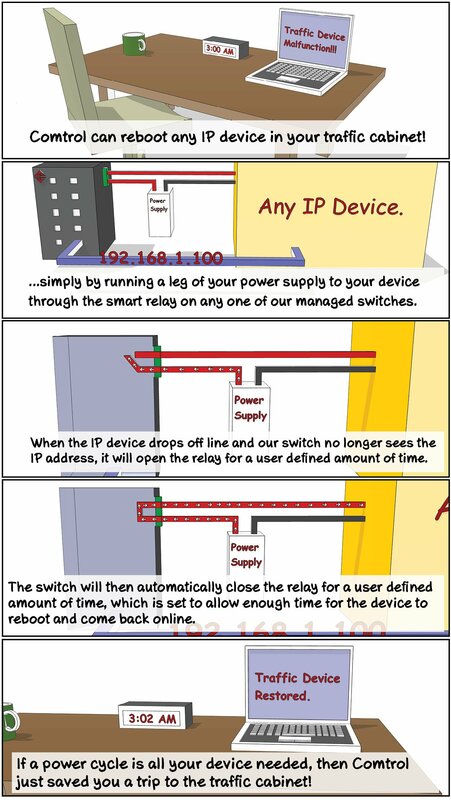 Additional information from switch-camera installations of similar configurations near Elko is also routed to the server room, which sends all of the information to the DOT control center in Reno.